9/20～9/29 Aim to be Top of MAHJONG LIVE! SUPER DARTS 2013 AWARD MOVIE will be available for Sale! 8/16～8/25 Aim to be Top of MAHJONG LIVE! 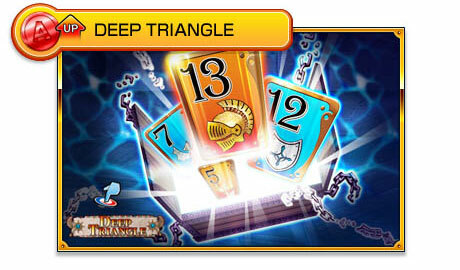 Get theTHEME by playing "DEEP TRIANGLE"!